"Latvian Open 2017" Men's Elite group All Star Team is selected. Forwards: Oskars Balodis (SK Pārgauja), Reinis Mirkšs (Rubene), Arnijs Kuratņiks (FBK Valmiera). "Latvian Open 2017" Men's Open 1 All Star Team is selected. Forwards: Renārs Austrums (FK Irlava/Avant), Emīls Birķis (LU/FS Masters), Elvijs Beikmanis (FBK Valmiera 2). "Latvian Open 2017" Women's Elite group All Star Team is selected. Forwards: Paula Egle (FK NND), Laura Gaugere (Rubene), Santa Torstere (FK NND). "Latvian Open 2017" Men's TOP group All Star Team is selected. Forwards: Casper Pfitzner (Esport Oilers), Henri Johansson (Nokian KrP), Anjo Urner (UHC Uster). "Latvian Open 2017" Men's Open 2 All Star Team is selected. Forwards: Adrians Mihailovs (NUJAS.LV), Mārtiņš Mickevičs (FK JeNo-2), Daniels Anis (NUJAS.LV). The organizers of 11th international elite floorball tournament "Latvian Open 2017" have published match schedule and groups. "SC Classic" from Finland won "Latvian Open" Men's Invitational category title by beating another Salibandyliiga team "Nokian KrP" in the final (8:4). In the 3rd place match "UHC Uster" from Switzerland scored a last minute winner that secured victory over Latvian Men's National Team (8:7). The last match of "Latvian Open 2016" was Men's category final between two Latvian teams - "Valmiera/ViA" and "Pārgauja". Home team celebrated their second "Latvian Open" title after penalty shootout (4:3). In the 3rd place game "Rubene" outlasted "Kurši" (6:4). "Ķekava" won "Latvian Open" Women's Elite category title by beating Latvian Champions "Rubene" in the penalty shootout (1:0). In the 3rd place match "Rīgas lauvas" beat "NND" (3:2). "Ogres Vilki" won "Latvian Open 2016" Men's Open category. In the final they beat "Tērvete" in penalty shootout (4:3). 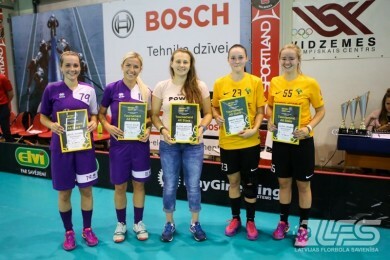 "Kuldīga" claimed 3rd place by beating "Saulkalne" (Latvia) with final score 4:2. "Latvian Open 2016" Men's Elite All Star Team is selected. Forwards: Gvido Lauga ("Pārgauja"), Mārtiņš Rajeckis ("Pārgauja"), Arnijs Kuratņiks ("Rubene"). "Latvian Open 2016" Men's Open All Star Team is selected. Forwards: Elvijs Jankovskis ("Ogres Vilki"), Kristers Tiltiņš ("Tērvete"), Toms Rislings ("Ogres Vilki"). "Latvian Open 2016" Women's Elite All Star Team is selected. Forwards: Laura Gaugere ("Rubene"), Paula Brunovska ("Ķekava"), Anna Ankudinova ("Rīgas Lauvas"). "Latvian Open 2016" Men's Invitational All Star Team is selected. Forwards: Tommy Merto ("Nokian KrP"), Raphael Berweger ("UHC Uster"), Eemeli Salin ("SC Classic"). Welcome to the 10th anniversary Latvian Open! 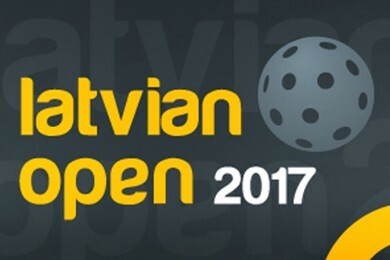 From August 24th - 28th, 2016 the traditional pre-season floorball tournament "Latvian Open" will take place for the 10th time. 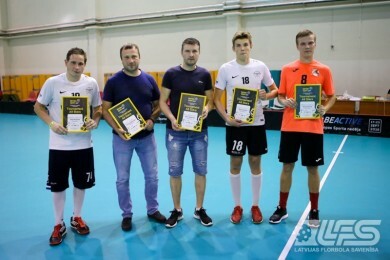 "Latvian Open" is officially recognized by Latvian Floorball Union (LFU) and is included in the International Floorball Federation's calendar of the summer tournaments for Elite teams. In cooperation with LFU all matches will be served by licensed referees. The tournament will take place on three fields, covered with Gerflor flooring. The last match of "Latvian Open 2015" was Men's category final between two Latvian teams - "Bauska" and "Valmiera/ViA". Team from Valmiera used their home court advantage, beat "Bauska" (4:2) and celebrated their first "Latvian Open" title. In the 3rd place game "Rubene" outlasted "Ķekavas Bulldogs" in a very close match (2:1). "NT2-ISKRA" from Russia won "Latvian Open 2015" Women's category. In the final they beat Latvian Champions "Rubene" (4:2). "Ķekava" (Latvia) claimed 3rd place by beating "NND" (Latvia) with final score 4:2. "Storvreta IBK" from Sweden won "Latvian Open" Men's Elite category title beating "SC Classic" from Finland in the final (6:5). In the 3rd place match Latvian Champions "Lekrings" beat "UHC Uster" from Switzerland 8:5. 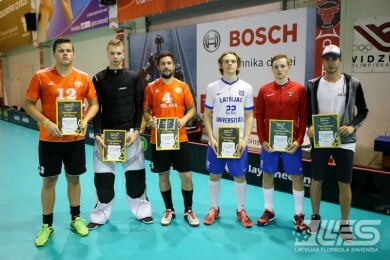 "Latvian Open 2015" Men's category All Star Team is selected. "Latvian Open 2015" Women's category All Star Team is selected. 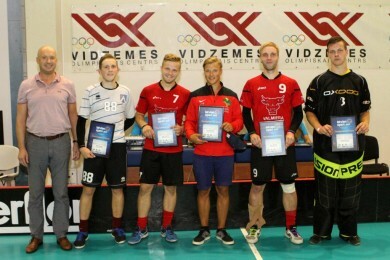 "Latvian Open 2015" Men's Elite All Star Team is selected. 9th International Floorball Tournament "Latvian Open" has begun in Valmiera and Koceni. 29 teams from 7 countries will compete in 3 categories - Men's Elite (4 teams), Men's (17 teams), Women's (8 teams). Clubs from Latvia, Sweden, Finland, Switzerland, Czech Republic, Russia and Belarus will be represented in this year's event. "Latvian Open" - high quality! Of course, your tournament is at high quality, that's why we come to your tournament, not to the other ones. It's very good to have possibility to play against other floorball cultures. Also the accommodation was nice. Sveiki, Organizers of "Latvian Open!" It was a great pleasure to participate in the "Latvian Open 2014". We had tough games and big emotions in the Elite group. It was a special honour for us to play against very strong teams from Finland and Latvia in Valmiera! Very many thanks for inviting us to "Latvian Open 2014"! Tournament was very nice and very well organized event. The food was especially delicious and the foodservice worked efficiently, many thanks for them too! And special thanks for helping us, when we needed to get one injured person to the local hospital. Let's hope that we will see you next year in "Latvia Open 2015"!